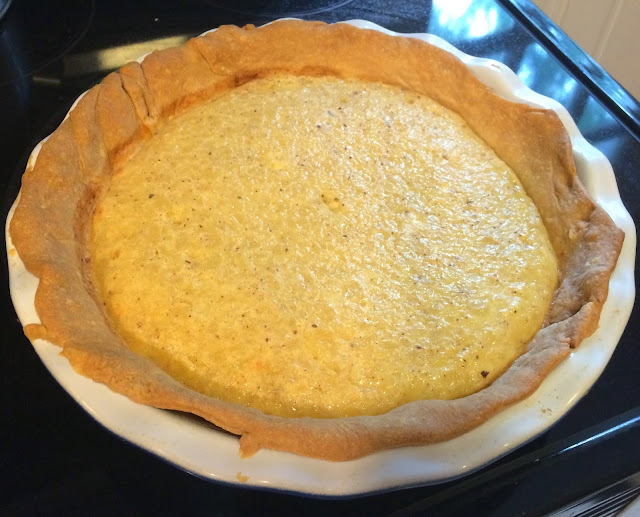 A very interesting recipe that crops up often in local Maryland cook books on the Eastern Shore, in Southern Maryland, and even in Baltimore is for sweet White Potato Pie, or, as it would have been called in the old days, White Potato Pudding in a Paste. This recipe is very similar to ones for sweet potato pie or pumpkin pie wherein mashed potatoes or pumpkin are mixed with eggs, butter, milk, and sweet spices to make a pudding which is baked in a pie crust (or paste). Why would a white potato pie be popular in Maryland? It seems obvious that Maryland, one of the most agricultural states in the US would have an abundance of potatoes necessitating diverse ways to use this most versatile crop. In addition, frugality also plays a role in the popularity of a recipe that uses leftovers in a new and delicious way. These pies are also very easy to make, can stand up to a hot Maryland summer, and are easy to transport to gatherings and dinners. Inspiration for making these pies surely must have been passed down from the generations. There is a recipe called To Make a Potato Pie from a British Cook Book called The Whole Body of Cookery, Dissected by William Rabisha dating back to 1661 in which the potatoes (albeit they were probably referring to sweet potatoes) are baked in a crust with what you might expect such as sweet spices, sugar, raisins, citron, eggs, and butter, but also bone marrow and vinegar! This kind of a pie, mixing sweet and savory, would have been typical for its day. The Maryland White Potato Pie is just sweet, more typical in modern times. Importantly, it should be stated that White Potato Pies that are sweet may not be unique to Maryland, but they have a long-standing tradition in the Free State. An internet search reveals that many recipes can be found but most seem to be associated with Maryland. If you have a recipe for White Potato Pie, please share it with me and tell me where you found it! This first recipe was published in Baltimore in 1869; there several others from around Maryland and across time. Domestic Cookery, Useful Receipts, and Hints to Young Housekeepers by Elizabeth E.Lea, Baltimore: Cushings and Bailey, 1869. Take a pound and a half of well mashed potatoes; while they are warm put in three-quarters of a pound of butter; beat six eggs with three-quarters of a pound of sugar, rolled fine, mix all well together, and put in a glass of brandy; season with nutmeg, mace or essence of lemon, and bake in paste. Maryland’s Way, The Hammond Harwood House Cook Book, 1963. 13th publication in 1966. Cook potatoes, mashing them through a ricer when done. Add butter to hot potatoes and mix well; stir in sugar, salt, cream, and milk, then baking powder, lemon juice and rind, nutmeg and vanilla or sherry. Beat eggs well and stir into potato mixture. Line a pie pan with thin pastry and fill with the mixture. Bake in a moderate oven until firm and brown. This pie has been a favorite for many years at All Hallows Thanksgiving Dinner. Mix all ingredients in a bowl. Pour into pie plates lined with uncooked pastry. Bake in a moderate oven until firm and delicately browned. Makes 3-4 pies. Before filling put crust in refrigerator to chill. Combine ingredients. Put in chilled crust. Bake at 350° until done. 2. Line pie plate bottoms with pie crusts, homemade or store bought. 3. Run the mashed potatoes through a food mill or ricer to remove all of the lumps. 4. Place the mashed potatoes in a large bowl. Then, add the sugar, butter, eggs, nutmeg, lemon extract, and milk. Mix together with an electric mixer until well-blended and frothy. 5. Pour into the prepared pie plates. 6. Bake until firm and delicately browned, about 1 hour. 7. Remove from oven when the center is firm. Allow the pies to cool before slicing into them. Refrigerate uneaten portion. Got my recipe from Maryland's Way cookbook. Finally got around to making it. Delish! 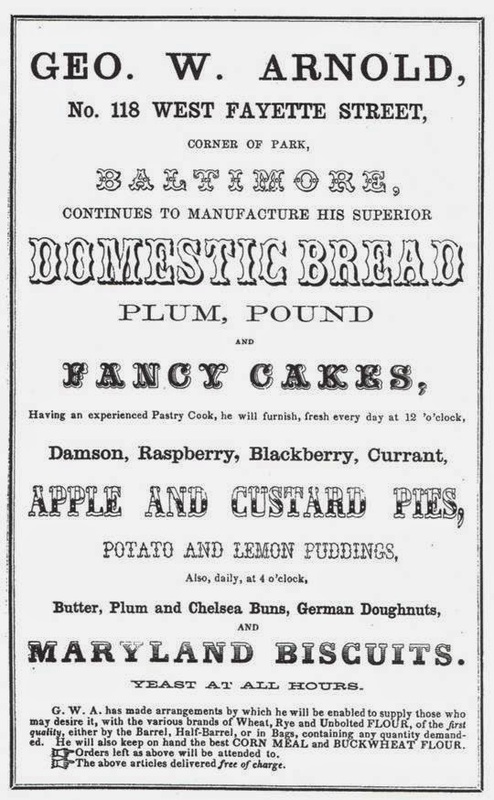 Kossuth Cakes: An Historic Maryland Dessert?